An annual art, design and floristry show hosted by North East Scotland College (Nescol) at its campus in Fraserburgh will open to the public tomorrow. The end-of-year show celebrates the work done by students at the Henderson Road site over the academic year. Today, dozens of students from courses will finalise the displays which are being kept under wraps until tomorrow’s public unveiling. 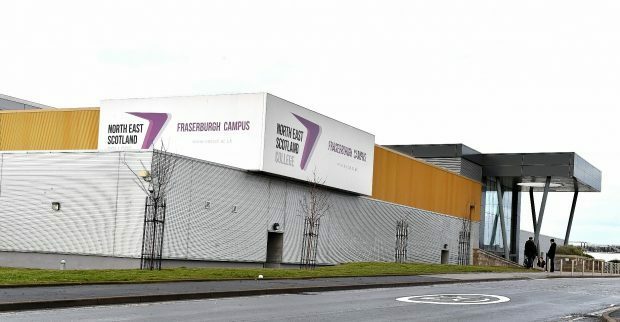 Last night, a spokeswoman for the college stated: “The Nescol Fraserburgh campus art and design and floristry exhibition is set to take place from June 13-16. “This hotly-anticipated event, held annually in the atrium of the campus, gives art and design and floristry students the opportunity to showcase their best work. A private viewing of the exhibition is being hosted tonight before students’ work is unveiled to the public tomorrow morning. The showcase is open to staff, students and members of the public from 9am-6pm tomorrow, 9am-8pm on Thursday and 9am-12pm on Friday. Last year, around 30 full-time students from various courses showcased drawings, paintings, prints, jewellery, textiles, photography and a collection of paper clothes. The projects were inspired by a host of themes including local landmarks and popular TV show Game of Thrones. Meanwhile, the college’s creative arts end-of-year display – which includes 3D computer animation – opens to the public at the Aberdeen campus tomorrow.